SPECIAL DEAL - Usually 12.99, today just 7.99 - Save £5! If you are a Snowdrop fan (also known as a 'Galanthophile'), Polar Bear may well already be on your hit list! 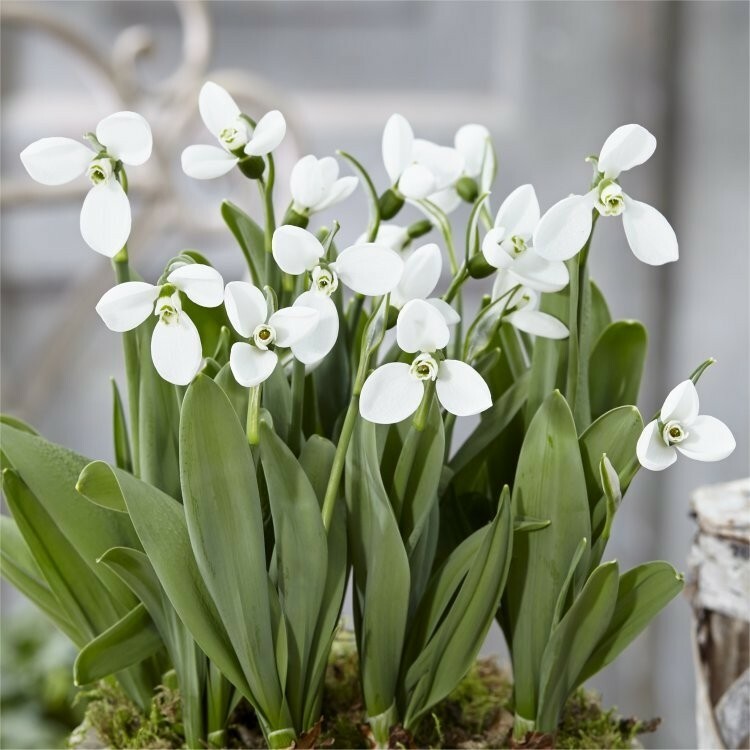 Single bulbs of this very special Snowdrop variety have been going for £17 a piece on some other websites, so now is your chance to acquire this special galanthus at a special price! Recently introduced, this is a rare and highly sought variety with limited supply, however, our 1 litre pots containing around 5 bulbs in each are somewhat more affordable than other sources at just £12.99, especially considering there are 5 bulbs per pot and not just one. 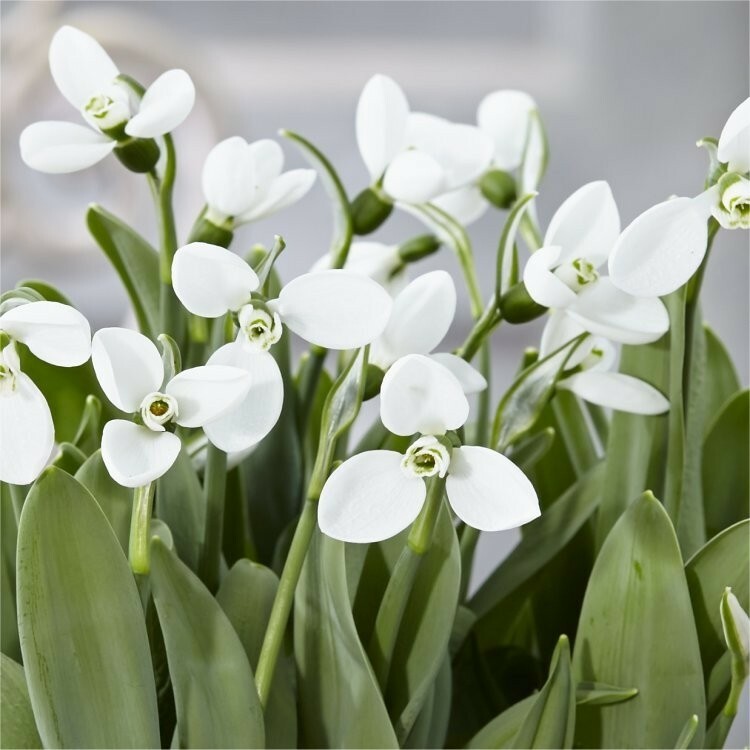 This is an oportunity to add a rare and highly sought plant to your garden at an affordable price, be you a person new to gardening who just likes snowdrops, a seasoned 'snowdropper' and old hand or enthusuastic snowdrop collector engaged by snowdropmania! Snowdrops are probably the very first flowers to peep their heads through the ground at the end of the winter, as soon as the snow melts. The small nodding, milky white flowers are bell-shaped and have green spots. They arise in frosty ground, multiplying freely over time. Our Snowdrops are supplied ready grown in bud, and are perfect to plant and naturalise in grassy areas or under trees. Galanthus nivalis 'Polar Bear' has large rounded flowers with a big green mark on the inner segments, the foliage is broad and glaucous. Supplied in approx. 12cm/1 litre pots. Please Note: Each Pot of Snowdrops contains around 5 bulbs. These will increase in to large clumps over the coming seasons. They are ideal for dotting around and naturalising under trees for example. Buying growing snowdrops 'in the green' in Spring is the best way to get them established, as dry bulbs planted in Autumn will often fail to grow if not given the best start. These will be supplied in bud/flower in season, but naturally, after the flowering period plants will be green only, ideal to plant, but without blooms. 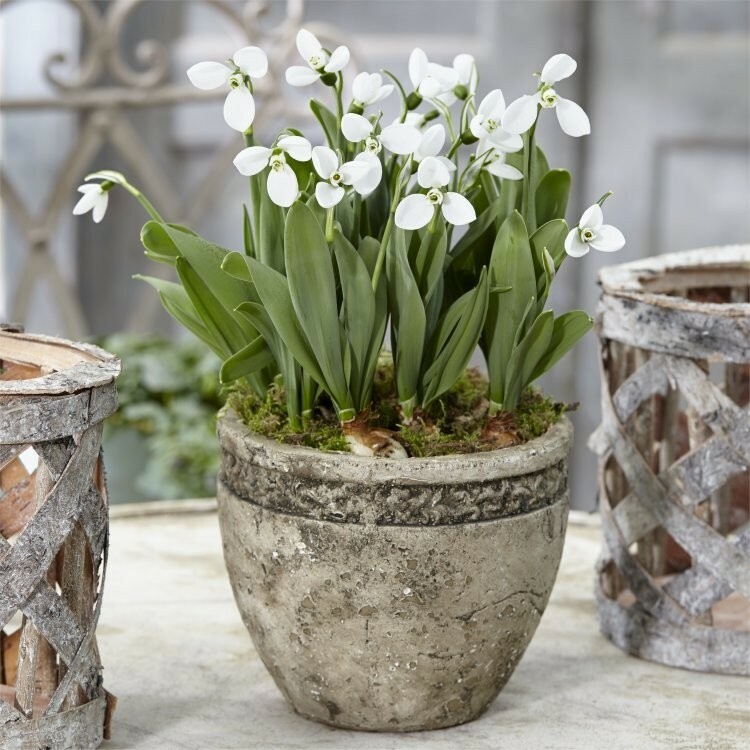 Fair use Policy: In order to give as many customers as possible the chance at acquiring and growing this very special snowdrop, we must limit this offer to a maximum of three pots per customer. It would not be fair if we allowed a few people to buy them all, we want all our customers to have a chance at these!